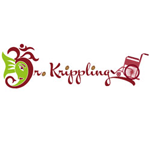 Dr Krippling - Dizzy Lights. Free US delivery. "I'm so dizzy! My head is spinning!!!!!" Check out and discover something new with this Krippling Northern Lights Auto strain! You can now have full access to Dizzy Lights. This far stretching auto shines through and through, with an infinite amount of crystalised delights and mouth watering flowers, reminiscent of its Northern Lights heritage.